Here are a few of my favorite sites and some other information that you may find useful. Anyone interested in Bruckner happenings around his birthplace should stay in touch with this website. My friend and fellow Bruckner colleague, Hans Roelofs has posted his Bruckner Discography. Those of you who are interested in Bruckner's vocal and instrumental compositions will certainly welcome Han's work in this area. The searchable online database of the Austrian National Library. This is where most of Bruckner's manuscripts are maintained and the site affords the viewer access to this scores and other material relating to Bruckner. Manuscripts can be seen here, while other documents can be accessed here. Formerly known as the Vienna City and State Library, this site contains digitized copies of many culturally relevant documents including several of Bruckner's manuscripts which can be found in the "musikhandschriften" section. The Austrian Academy of Sciences - Institute for art and music historical research, in Vienna has a new website devoted to Anton Bruckner. It already has many interesting features, including a time line of Bruckner's life and digitized images of the first editions and the Haas/Orel editions from the 1930's. Access to digitized images of Bruckner's manuscripts (located at the ONB, St Florian, Kremsmuenster, etc.) can be accomplished through the "Werke - Datenbank" link, but you will need to know the library catalog number to find the specific score. The ABIL was founded in 1978. The focus was on the exploration of the life and works of Anton Bruckner (1824-1896). In 2006, the duties were extended to the discussion of the Upper Austrian regional musical culture. In addition to basic research, the Institute is engaged in the collection and documentation of sources, the publishing of scientific journals as well as the support and implementation of lectures, symposiums and exhibitions. The Institute has a unique data and document collection and an extensive library. The site is also the home of the ABCD - The Anton Bruckner Chronologie Database maintained by Franz Scheder. The history of the Bruckner Orchester Linz spans 200 years of tradition and excellence. In the last three decades, it has won an international reputation as one of the leading orchestras of Central Europe. Consisting of 128 musicians, the orchestra is not only the concert orchestra for the state of Upper Austria but also the opera orchestra at the Landestheater Linz, and participates in the Bruckner Festival, the Ars Electronica Festival and the Linzer Klangwolke. The Bruckner Orchester Linz has performed extensively in The United Kingdom (2016, 2018), The United States (2005, 2009, 2017), Germany, Spain, Italy, Japan and France. Recent tours have featured concerts in Cologne, Paris, Vienna and Istanbul and since 2012 the Orchestra is having its own concert cycle at the Musikverein Wien. The Bruckner Orchester records prolifically including the complete Bruckner cycle for arte nova/SONY with past Chief Conductor, Dennis Russell Davies. During its long and venerable history, the orchestra has performed with such luminaries as Clemens Krauss, Hans Knappertsbusch, Sergiu Celibidache, Kurt Eichhorn, Vaclav Neumann, and Christoph von Dohnányi. In recent times, the distinguished roster has included Zubin Mehta, Serge Baudo, Horst Stein, Vladimir Fedoseyev, Michael Gielen, Bernhard Klee, Steven Sloane, Stanislaw Skrowaczewski, Michael Schønwandt and Franz Welser-Möst. 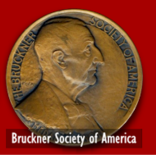 The Bruckner Journal comes out three times a year and is available worldwide via subscription. It is a wonderful publication for anyone interested in the music of Bruckner. There are some very useful links on the website. The current editor is Dr. Michael Cucka. William Carragan, one of the contributors to the Bruckner Complete Edition (as editor of the scores to both editions of the Symphony No. 2) has established his own website which includes many of his critical essays on the music of Anton Bruckner. Purchasing CDs or books at Amazon.com through this link will help support the maintenance of this Discography. If you are planning on visiting Bruckner's hometown of Ansfelden, then this site will help you plan your visit. The spiritual home and final resting place of Anton Bruckner. It is a wonderful place to visit and the monastery also offers rooms and conference facilities. This Facebook Group reproduces much of the material that is on this website, but they often offer new material of their own. Some of that has been added to this website. Many of you will be familiar with Eduardo Chibas as the conductor of Bruckner's Symphonies 7, 8 and 9 with the Venezuela Symphony Orchestra. (Those superb recordings are available in my webstore as CDs or as downloads). 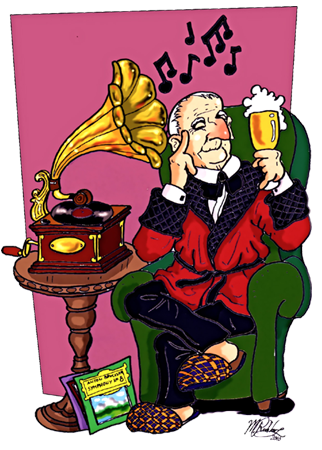 Mr. Chibas has had a long fascination with the conducting art of Wilhelm Furtwaengler and he has just opened a new website where he is making his extraordinary re-masterings of many Furtwaengler recordings (including Bruckner) available for download. The conductor, musicologist and publicist, Benjamin-Gunnar Cohrs maintains his own website which contains information about his activities including his work on the Bruckner 9th Finale. Here is a great site to find concerts containing music by Bruckner (or any other composer). It may also help in planning for upcoming broadcasts. This 2 minute daily feature is produced by American Public Media in association with the American Composers Forum. 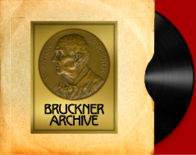 If you go to this site, type Bruckner into the search window and you will see a list of audio essays on Bruckner. This is a site maintained by Fritz Oeser's daughter in honor of her father. It was officially opened on December 14th, 2010 - the anniversary of her parent's wedding day. A good place to meet other people interested in the music of Bruckner. Subscription is free. Yamada-san's site has many interesting links and a discography. Joachim Wagner is a musician in Germany who has set up a website (Klangerede.de) that includes a great deal of material on Anton Bruckner. It links to reviews of recordings on Amazon.de and it lists his extensive Bruckner collection organized by its version.